Violence, Social Action and Research. Pearce, Jenny and Rosemary McGee, eds. Throughout its history, Colombia has been marked by different forms of violence. The involvement of children as soldiers is a phenomenon that recurs across generations. This article asks how the methodology governing social interventions should be designed so that it becomes possible to interrupt the circuits that lead to the intergenerational reproduction of violence. It reports on a human rights training aimed at children who are no longer active participants in Colombiaâs armed conflict. The project incorporated an educational approach and a social psychology focus which, taken together, were able to make progress towards overcoming the effects of violence. The article seeks to show the importance of intuition and the coming together of different areas of knowledge in the educational and social psychology models the project employed. A strong focus on active therapeutic listening has been particularly important. An important dimension of the research process in the case of Rio de Janeiroâs favelas was linking the research to policy dialogues on public security. This briefing note explores some of the issues that emerged through these dialogues. These include the paucity of legitimate community representatives, the way that the government uses information, and the importance of time and timing in building policy dialogues. 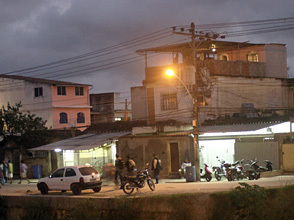 In order for there to be a productive dialogue with policymakers at the municipal, state, or other level, interlocutors between the favelas and government institutions are also key. Carrying out research in areas controlled by armed actors requires an ongoing process of negotiation along a series of different axes. Permission from these non-state groups is essential in order to have access to the communities they dominate, yet independence from them is also fundamental to the integrity of the research. External research engages in negotiations which mirror the compromises that residents make on a daily basis. This briefing note traces the process of negotiating access with militias and drug dealers for research to take place in Rioâs favelas. The challenge throughout these negotiations was demonstrating enough flexibility to appear not to be a threat, while at the same time maintaining the neutrality of the research. Militias and drug dealers each set different âtermsâ for allowing the research to go ahead in relation to their specific concerns. the study involves children. This article outlines some of the ethical and practical issues that influenced âhow' researchers worked with children in selected inner-city Jamaican communities. It demonstrates the importance of self-reflection, recognising that researcher's social backgrounds may have much more weight than they acknowledge on the research process and product. among policymakers and the individuals and communities they are meant to serve. The analysis of violence from an individual or household perspective is arguably one of the most challenging research areas in social science. Outbreaks of violence affect the core of human relations and social norms. They occur in non-linear cycles, and co-exist at different levels of social interaction within the family, the community or the state. Analysis of this complexity cannot be restricted to one social science discipline or method of analysis. This article reflects on an innovative methodology adopted to capture the experience of living with violence in communities in Brazil, Jamaica, Mexico and Nigeria. The methodology confronted disciplinary boundaries by encouraging close dialogue between quantitative and qualitative researchers in violent settings, and creating processes for learning and sharing. This article describes the methodology, presents the main results of the quantitative analysis and reflects on the challenges and lessons. There are many studies of violence within specific fields of the social sciences, but the next stage in our evolving understanding of violence may lie with interdisciplinary approaches. By traversing traditional academic categories, violence as a variable may become more visible in its multiple modes. It is through our ability to see the linkages between interpersonal, cultural, collective, political, state, interstate and structural violences that we can gain a better understanding of its persistence in human interactions. Researchers for this IDS Bulletin set out not only to understand contemporary dynamics of violence, but also to work with people trapped in violent places, spaces and histories who were willing to talk about and act upon their situation. Researching violence in an interactive way with those living in the thick of it posed many ethical, safety, epistemological and methodological challenges. These are documented in this IDS Bulletin along side findings on the dimensions and impact of violence in different contexts. Understanding Violent Realities - and Transforming Them? forms of politics and progressive social change. The research intervention can serve as a catalyst for transforming violent realities, dislodging and re-focusing participantsâ viewpoints on their life worlds, allowing changes to happen. Drama and video are effective tools for stimulating reflection and research on violence. This article describes a research process which tried to understand expressions of identity, constructions of citizenship and prospects for reducing future violence in northern Nigeria, where there have been many outbreaks of violence centred on religion and ethnicity. Researchers and local partners carried out a survey in several communities. They then used the survey findings to develop a drama which was performed in each community and which was followed by a facilitated debate. Participatory video was integrated at all stages. The research findings show that most people do not believe that the contemporary violence is a result of religion. Rather, they see religion as the organising platform. This analysis offers a more nuanced understanding of the conflict than merely labelling it ethno-religious. the problem of chronic violence, raising awareness of its causes and implications, and promoting initiatives that seek to combat it through the assertion of rights. The research was developed as part of a university diploma taught in two Mexican states where chronic violence is an issue. The diploma aimed to build and support networks that promote cooperation between social actors. The action research was designed to offer a shared space in which diploma participants could develop joint initiatives aimed at raising awareness of the nature and dimensions of violence, and to confront the problem. Through building trust, the experience resulted in the creation of new approaches to the complex problem of violence, and new ways to understand it. This article highlights the main methodological problems and solutions encountered while researching violent young men in the marginalised north-eastern area of MedellÃ­n, Colombia. Using ethnographic methods, the research investigated how violent behaviour may be inherited, and its relationship to masculinities and youth. It asked how violence is transmitted to young men in both domestic and social spaces, and evaluated the relationship between marginalisation and social violence. Little has been written about how researchers can access violent actors who are reluctant to come forward or tell the truth, nor the ethical issues that arise when researching violent subjects in conflict contexts. This article explains how dangers were dealt with, but also how problems ofaccessing violent actors were overcome, and considers the ethical dilemmas. This paper explores how meaningful citizenship can be constructed in contexts of chronic violence, using data from a field study of CSOs in Colombia and Guatemala. It explores whether and how CSOs work on as well as in violence. Building citizenship in chronic violence contexts, it argues, requires simultaneous attention to citizenship and to violence so that the intergenerational transmission of violence can be interrupted as well as rights embedded in social consciousness and practice.